This globally viral video might be the most popular video on the internet to date. 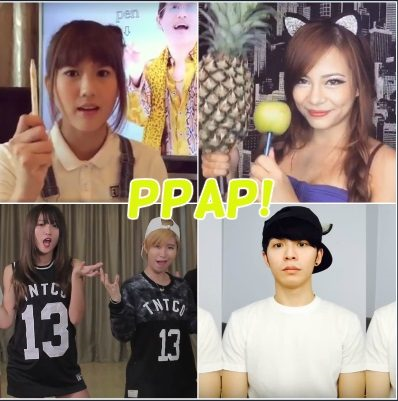 If you have been paying attention to social media, you might have heard of the famous “PPAP” song already! “PPAP”, which is also known as Pen Pineapple Apple Pen, has gone viral with simple lyrics about fruits and.. well, pens. It all started with the click of a button.. and the strongly addictive Pen Pineapple Apple Pen song has been stuck in our heads ever since. Here’s a bunch of local peeps caught in the infectious act! Any favourite PPAP covers that you like? Let us know in the comment box below! We’ve Tried The 4 Infamous Bobas (Brown Sugar Series) In SS15. And Here’s The Real Tea! 7 Destinations In Malaysia That Will Take Your Instagram To Foreign Lands!